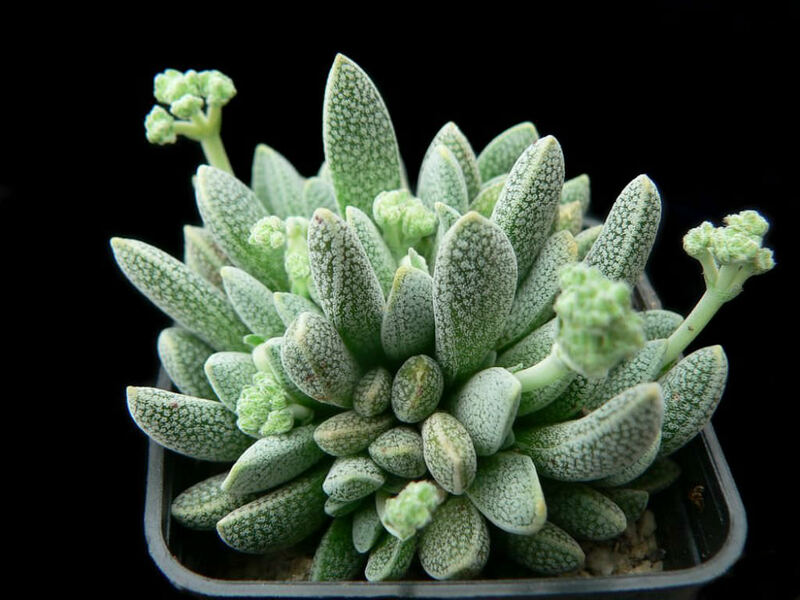 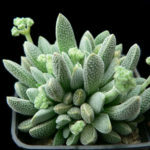 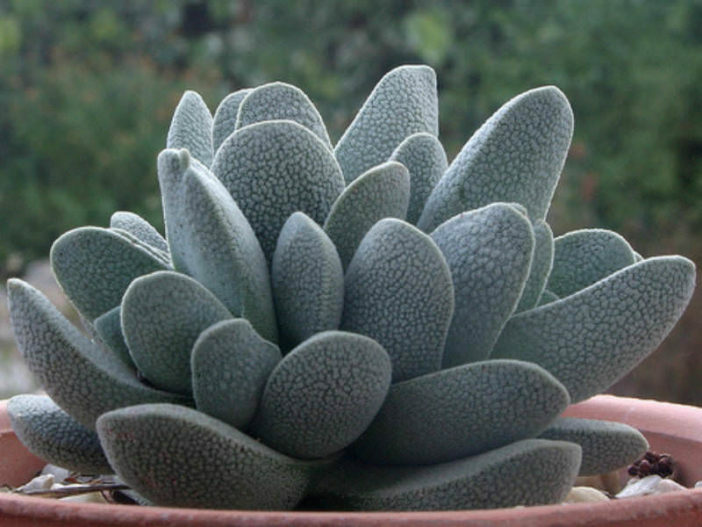 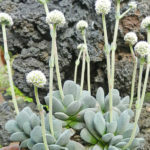 Crassula tecta is a perennial succulent, branching from the base, forming a dense rosette of highly succulent leaves, up to 2 inches (5 cm) tall, up to 6 inches (15 cm) when flowering. 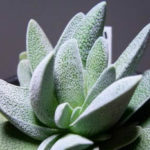 The leaves are opposite, oblong to oblong-lanceolate, rounded, and covered with densely, hard, white-tipped papillae, grey-green in color, up to 1.4 inches (3.5 cm) long and up to 0.6 inch (1.5 cm) broad. 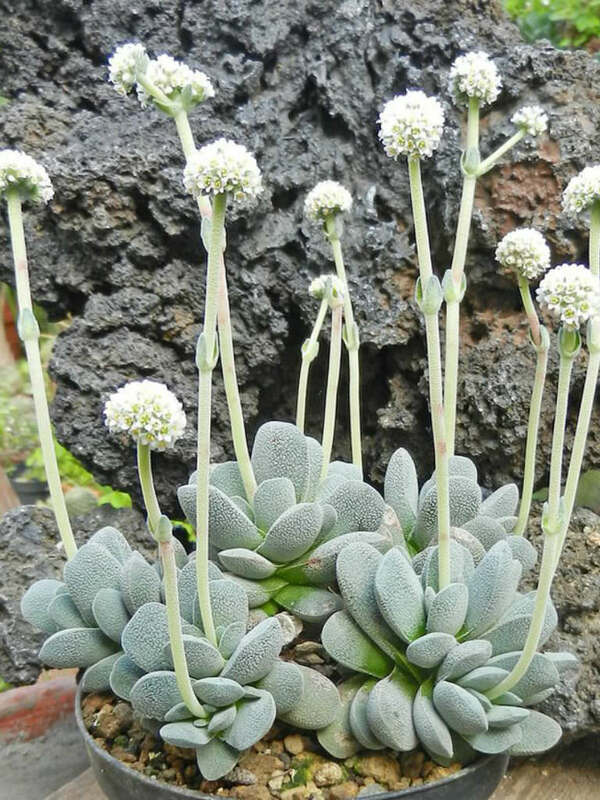 The flowers are tiny, white, 5-petalled cups. 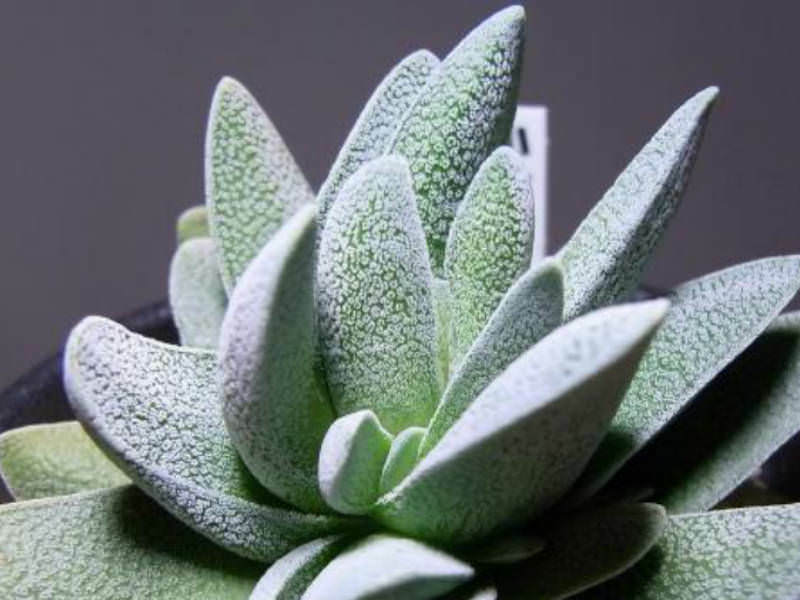 Each petal is up to 0.16 inch (4 mm) long and recurved at the tip, and the anthers are yellow.